This weekend I was able to check out the very long (about 12 feet in two 6-foot sections) survey map of the military road from the Miami Rapids (the present day crossing of the Maumee River between Perrysburg and Maumee) to Detroit. The map itself ends at Spring Wells, the point just south of Detroit where General Isaac Brock landed his troops to capture the town in August 1812. 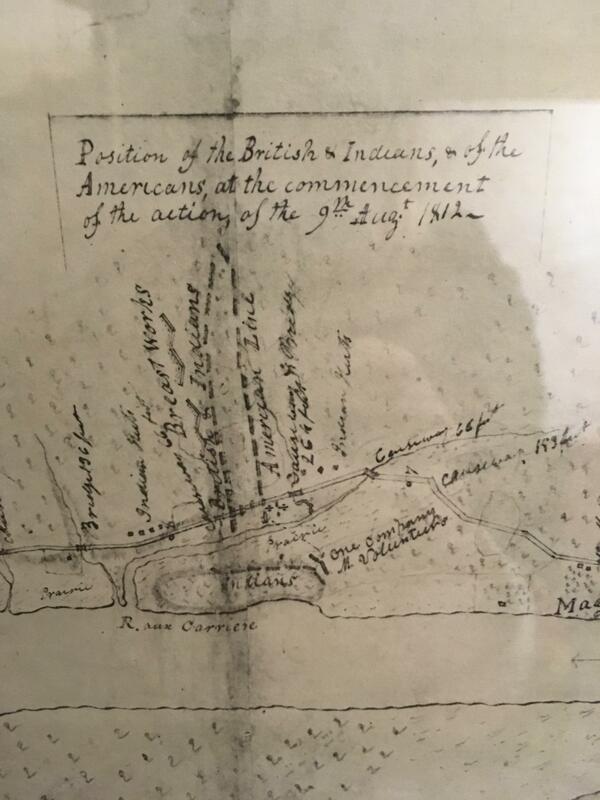 There is a detailed map of the Battle of Maguaga and the nearby Indian village. The 1817 Military Road is significant because it was part of a large Federal public works project (one of the first ever), meant to improve land lines of communication between the remote outposts of the United States Army and its bases of supply, which were so easily jeopardized by British forces during the late war. 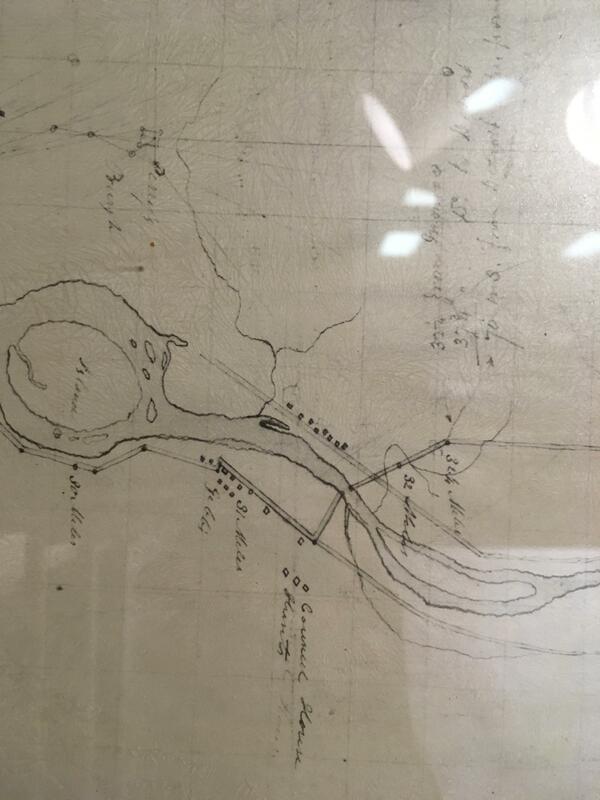 It's very interesting to note that the contours of the land have changed very little in 200 years, especially along the Maumee Rapids and at the section of corduroy road at the Huron River south of Detroit. While I was not able to visit the site of the corduroy road this time, I hope to go there soon and check on the state of preservation. The timbers of the original road have now been exposed for about 17 years since a decline in water levels in 2000. 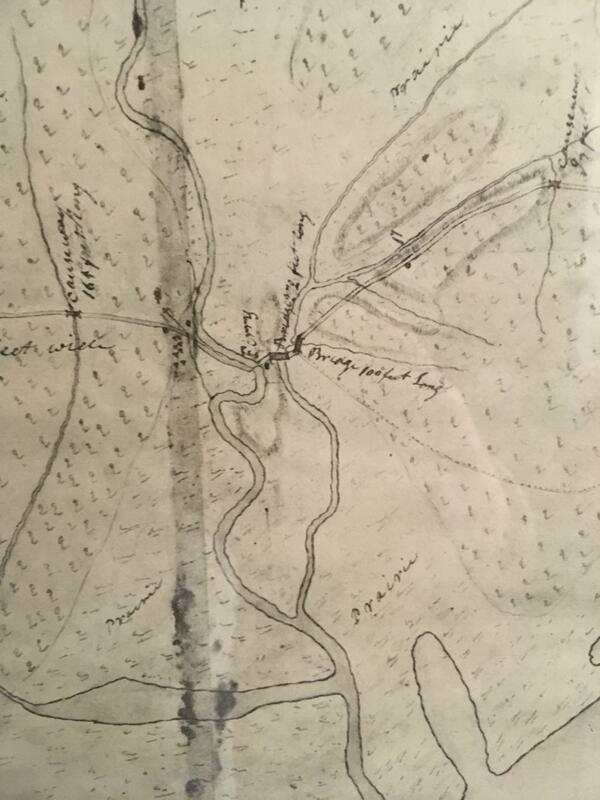 Why did Colonel John Anderson, the survey engineer (and very senior Topographical Engineer, include this battle as the only sketched out historical note on the map? Perhaps he was a participant. In August 1812 he was a 1st Lieutenant in the 19th Regiment of Infantry. The 19th was not present for William Hull's campaign on the Detroit River, but perhaps he was detached, since his service record indicates he resigned the service in 1811 at the Michigan Territory... More research, as always, is warranted. The corduroy road crossing at the Huron River as it existed in 1817. 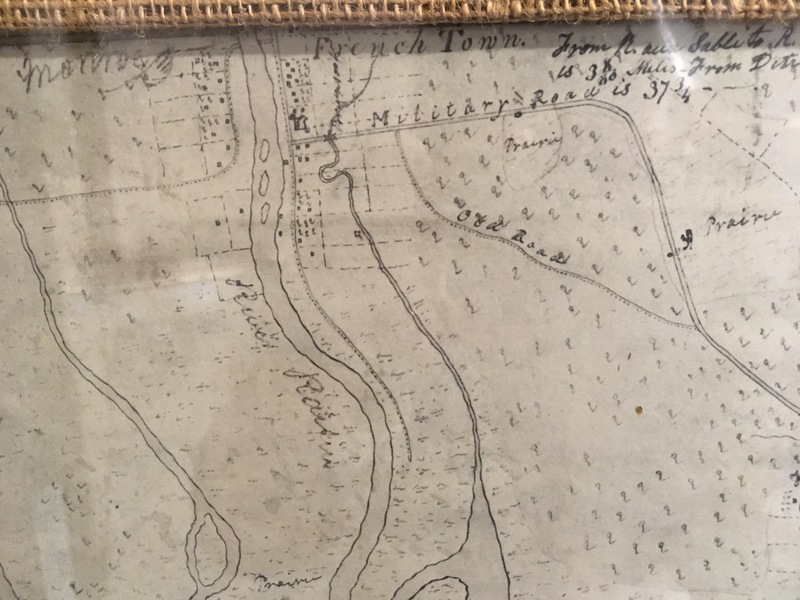 Frenchtown as it was in 1817. The crossing of the Maumee River.